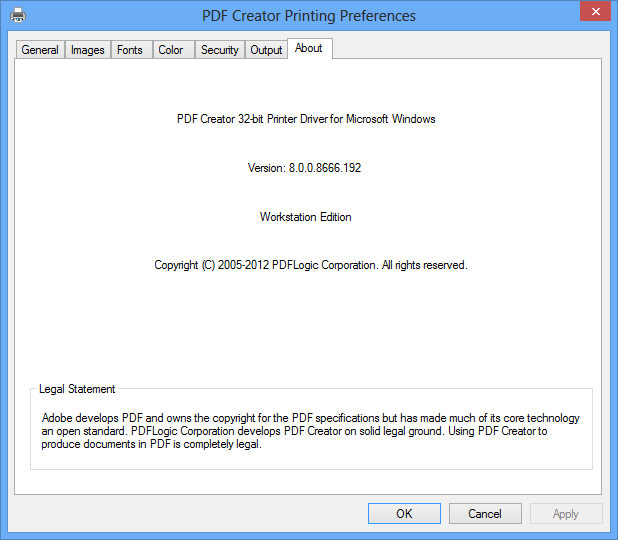 Create Adobe PDF files from all applications that can print on Windows 8, 7, Vista, XP, 2000, 2003, 2008, and Windows Server 2012! Deploy PDF creation capability across your organization on Windows Server 2012, Windows Server 2008, 2003, Windows 2000 Server, Windows Small Business Server, Citrix MetaFrame Server! 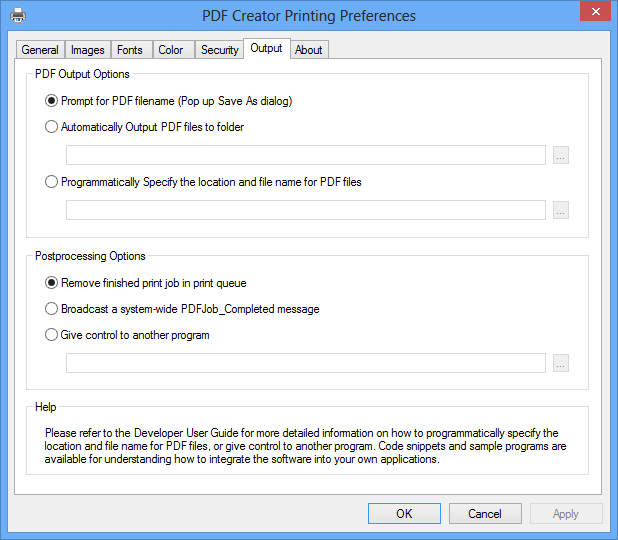 PDF Creator installs as a printer. 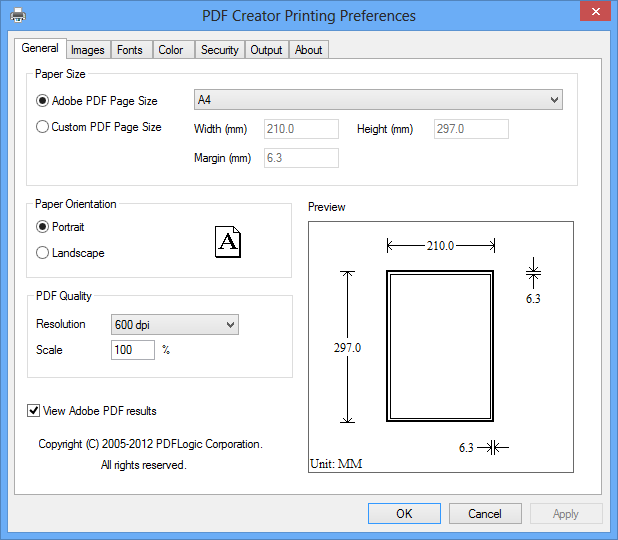 You can print from any Windows application to this PDF Creator printer, and get a press-ready, high quality, searchable, color PDF. 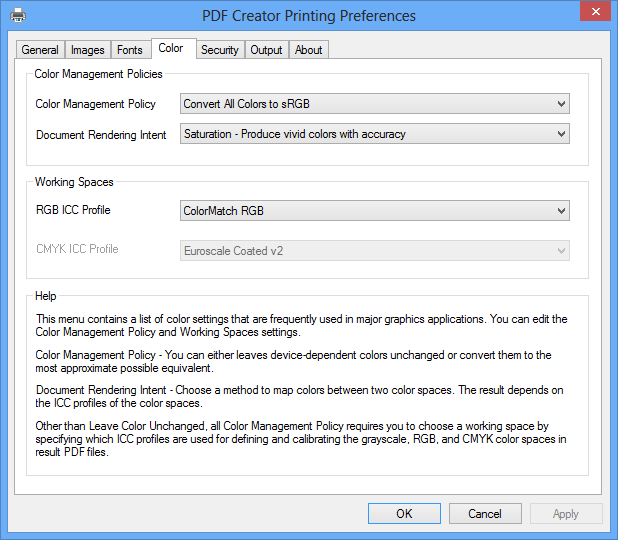 You can secure PDFs with passwords and/or permissions, embed fonts, choose CMYK, sRGB, RGB output for images, etc. Windows 8.1 compatible. 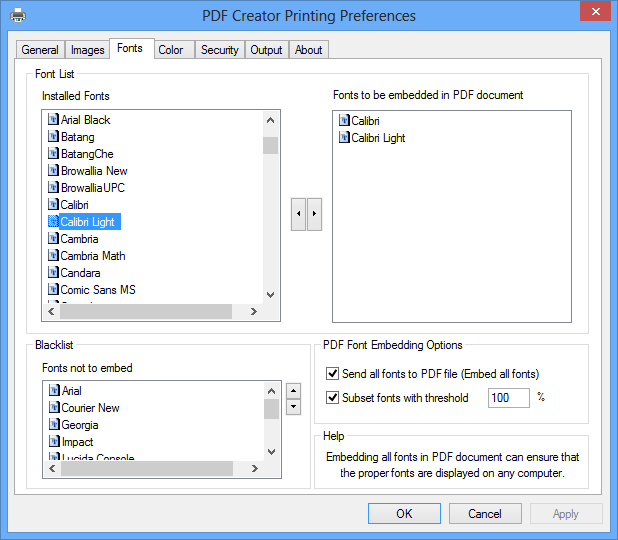 PDF Creator installs as a printer. 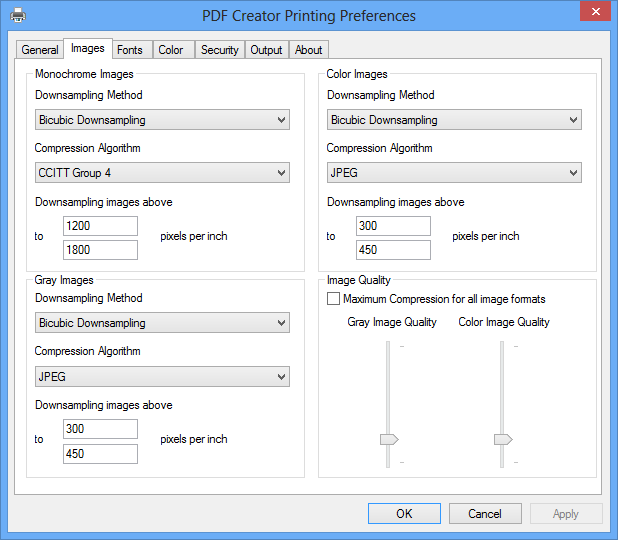 You can print from any Windows application to this PDF Creator printer, and get a press-ready, high quality, searchable, color PDF. 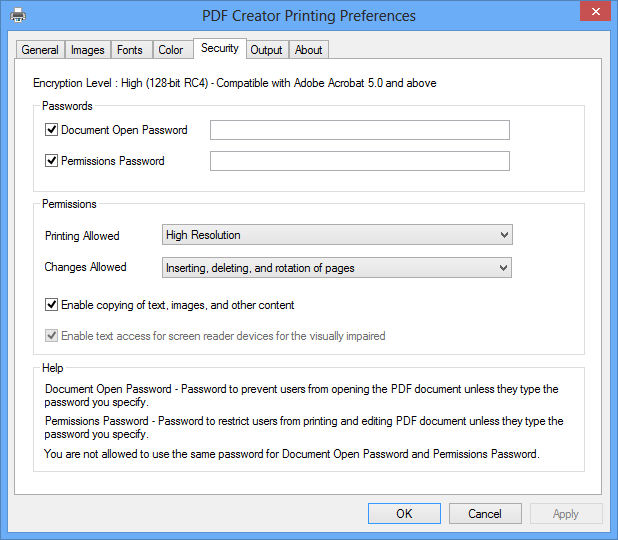 You can secure PDFs with passwords and/or permissions, embed fonts, choose CMYK, sRGB, RGB output for images, etc. Support Windows 8 64-bit and 32-bit. © Copyright 2005-2019 PDFLogic Corporation. All Rights Reserved. Is it legal to create PDF with PDF Creator?